Custom foot orthotics are shoe inserts designed to support, align or improve the function of the foot. People of all ages with a variety of foot or leg problems wear orthotics. You can expect high standards of treatment and follow up. When prescribing orthotics we provide a comprehensive assessment and tailored prescription to ensure safe and effective foot care. There are many reasons why a person may require professional foot care. Daniel sees patients from all walks of life and will painlessly sort out your foot problems with lasting results. Heel pain is one of the most common foot related conditions. It is often caused by a biomechanical imbalance that needs to be addressed through a combination of footwear changes, stretching, orthotics and exercise modification. He can advise on the most appropriate way to address your individual requirements. 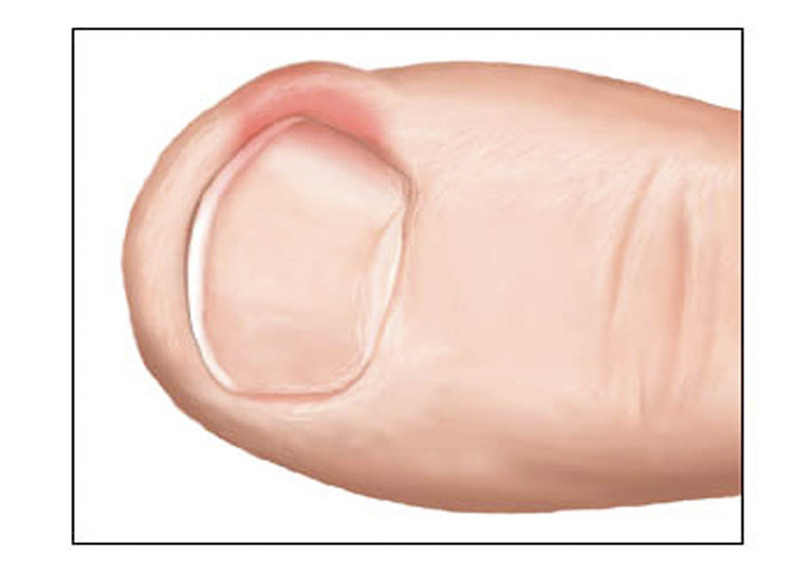 An ingrown toenail occurs when the edge of the nail grows into the skin of the toe. There may be pain, redness, and swelling around the nail. Daniel is highly skilled at painlessly removing ingrown toenails conservatively. Nail surgery may be necessary if the nail continues to become ingrown and this can be undertaken by Daniel under local anaesthetic, no hospital admissions are required. The practice of Foot Mobilisation is a specifically developed form of manual therapy aimed at improving foot and leg function. Foot joint mobilisation techniques involve gently moving a stiff or poorly positioned joint through its range of movements to help restore the joint to its natural alignment. Daniel has received extensive training in mobilisation techniques and may offer this treatment as an alternative before surgery is considered. People with diabetes should have their feet checked at least every 6 months by a podiatrist. Diabetes can lead to nerve damage, which reduces the feeling in the feet. It can also affect the blood supply to the feet leading to poor circulation. Daniel closely monitors his patients with diabetes to detect any changes early and develop a care plan to keep your doctor informed. Children’s feet differ from those of adults as they are not yet fully formed. Daniel regularly sees children for various foot problems including heel pain, Sever's disease, club foot, toe deformities, metatarsus adductus and plantar warts. If your child has a developmental issue Daniel has the experience and expertise tailor a treatment plan which may include splints, customised footwear, orthotics or (as a last resort) surgery. Daniel has spent much of his time helping his patients achieve a positive outcome after a traumatic event. He will spend the time with you to work through your issues and find a treatment that works for you. Daniel has many patients who have endured worksite injuries, vehicle accidents and traumatic events who have had reconstructive surgery. Following surgery, your foot mechanics will change and Daniel will assist you with finding suitable footwear, custom orthotics and exercises to reduce your pain to get you up and walking again. If you have an active insurance claim, your treatment may be covered and we will provide your claim officer with all of the relevant documentation. Do you have an Ankle Foot Orthotic (AFO)? If your AFO is not comfortable or providing the appropriate support, Daniel has the expertise to fix it. He can modify and improve your AFO to ensure your device is not only functioning properly but also comfortable enough to wear all day. If you have a regular orthotic that you are not happy with or requires a refurbishment, Daniel all know how to fix it. There is evidence in medical literature that dry needling may reduce muscular pain. Daniel may offer this modality of treatment in conjunction with orthotics or other physical therapies to better manage your pain.